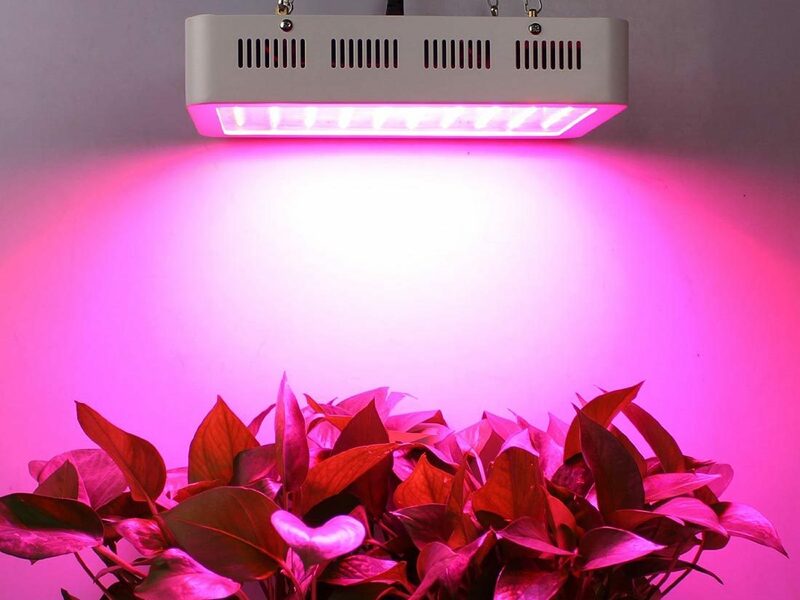 The ideal indoor grow light should be effective in every stage of the plant’s growing season. When we grow plants outdoors the light of the sun gives our plants all of the nutrients they need from a full spectrum of light, so this will always be the ideal option. But if you live in a colder climate and want to extend your growing season, then indoor lights are still the best way to go. 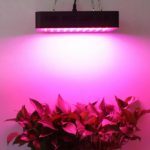 That means your lights need to mimic the light that the sun offers your plants and that means you need a light that provides close to a full spectrum of light for the plants. 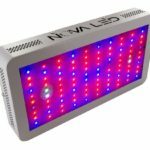 The Galaxyhydro LED Grow Plant Light 300W is a lighting system that offers the wide spectrum of light that we’re talking about. The system covers about nine different bands of light; it’s not a full spectrum in the truest sense of the word, but it replicates the main parts of the light spectrum that your plants need for healthy growth. The price on this product may vary from time to time, but in general you shouldn’t expect to pay more than $300 for the system. It’s not unusual for indoor LED light manufacturers to advertise their products as full spectrum lighting when in fact they aren’t. That’s true of this system as well. Galaxyhydro makes the claim that this is a full spectrum lighting system, but if you read their literature they clearly state that it operates in 9 bands. That’s not really full spectrum coverage, although it does cover enough of the spectrum to ensure healthy green plants. 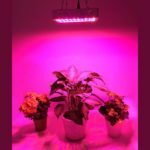 This light system should work just fine during every stage of your plants’ growth cycle from seeding, through the vegetative stage, and ending with the blooming stage. No matter how careful you are, on occasion a bulb will burn out. LED lights can generally be relied upon to last anywhere from 50,000 to 100,000 hours, but that won’t always be the case. One major advantage of this particular system is that it has built-in Zener protection that ensures if one bulb burns out it has no effect on the rest of your bulbs. That means you can be confident the system will keep giving your plants the light it needs while you go about the process of finding a replacement bulb. It’s nice to have that peace of mind knowing that you don’t have to worry about your whole operation shutting down because of one bulb. 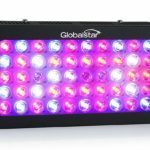 A couple of areas of the color spectrum where this Galaxyhydro LED Grow Light does have you covered is in the areas of infrared and ultraviolet light. 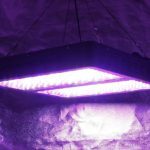 If you’re not familiar with ultraviolet light it’s especially useful in sterilizing and killing the bacteria that can negatively affect your plants’ growth cycle. 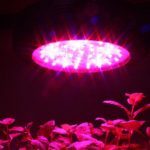 The infrared light is great for cell division, which has benefits during both the vegetative and flowering stages and can potentially lead to greater yields. There aren’t a lot of things more irritating in this world than the hum of a noisy light; you don’t have to worry about that with these particular LED lights. This type of lighting system is known to give off a lot less heat in general and, to keep things even cooler, they’ve included a dual fan system to assist the process. Surprisingly, this doesn’t make the system any noisier than LED lighting systems with a single fan system. With this one you’ll barely notice any noise at all. One of the first things I look for in an indoor lighting system is the type of warranty coverage they offer, and this one has a pretty decent one. They provide you with a two-year warranty for defects as well as a 30-day full money back guarantee. The two years is about average in the industry, but this 30-day, money-back guarantee is a little bit extra. 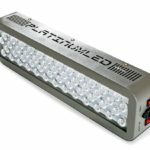 There aren’t too many LED light systems that can cover a large area so even the best systems will generally require you to use more than one light tray. This Galaxyhydro system is no different – it provides decent coverage, but it is still fairly limited. You can expect it to provide between 3 and 5 ft.² of coverage. That level of coverage is about average though, so it’s not really a negative mark on the system. One problem that did occur to me with this lighting system is the fact that it doesn’t offer switches for changing between blue and red light intensity levels during the different stages of growth. As you’re probably aware, blue light is better during the vegetative stage and red light is better during the flowering stage. It’s a nice option if you can switch back and forth between the type of light during the different stages, but it’s not essential as long as both types of light are included in the system. Some other areas where customers expressed some concerns about this product were its tendency towards moisture build up and unreliable bulbs. When you’re dealing with an indoor grow operation there is going to be a fair bit of moisture, but you don’t want it getting inside your bulbs, so this is certainly a concern. The potential problem with unreliable bulbs may be a result of this issue with moisture buildup, but you are protected by a full 30-day, money-back guarantee so that does make giving this product a try a little less of a risk. 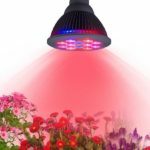 The Galaxyhydro LED Grow Plant Light 300W does provide your plants with color from the most important parts of the spectrum and it has a pretty decent coverage area. The 30-day, money-back guarantee means it isn’t a big risk giving this product try for yourself, so I would probably recommend it as the benefits seem to outweigh the risks.